Restore a Muscle Car, LLC started in 2005 as a shop that would bring back “classic muscle” but to a new level of restoration. We currently have a growing staff of over 15 full-time employees that work hard each day on a variety of projects. Each member of our team has years of experience in their field, which makes them more than qualified to handle the tasks they are faced with. The Bandit Run was the brainchild of David Hersey and Dave Hall, who wanted to commemorate the 30-year anniversary of the classic film Smokey and the Bandit. 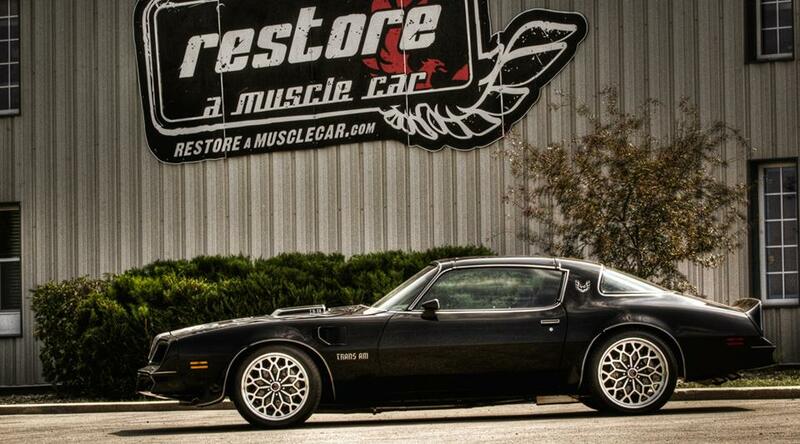 Restore a Muscle Car came up with the idea when Hershey purchased his restored 1977 Pontiac Trans Am from him in 2006. The Bandit Run is a reenactment of the journey portrayed in Smokey and the Bandit. The reenactment first took place on May 15, 2007, and has become an annual event. Following the same route that the characters Bo “Bandit” Darville (Burt Reynolds) and Cledus “Snowman” Snow (Jerry Reed) made in the 1977 movie, a group of about 30 Trans Ams started out in Texarkana in 2007. There, they had a send off at the Classic Car Museum. Both Texarkana mayors also got involved and gave a send off speech to the group. Heading east on the three-day trip, they were joined by Hot Rod Magazine and Automobile Magazine. After an evening in Tupelo, the growing group of Bandit runners received another send-off at the Tupelo Auto Museum on May 16. From there, they headed toward Birmingham, Alabama. There was then a stop at the Talladega Superspeedway, where the Bandit Runners were given a tour of the museum, a group photo and lunch. Then, a short drive to their destination, the Year One Facility for the annual Year One Experience, a 3 day event. 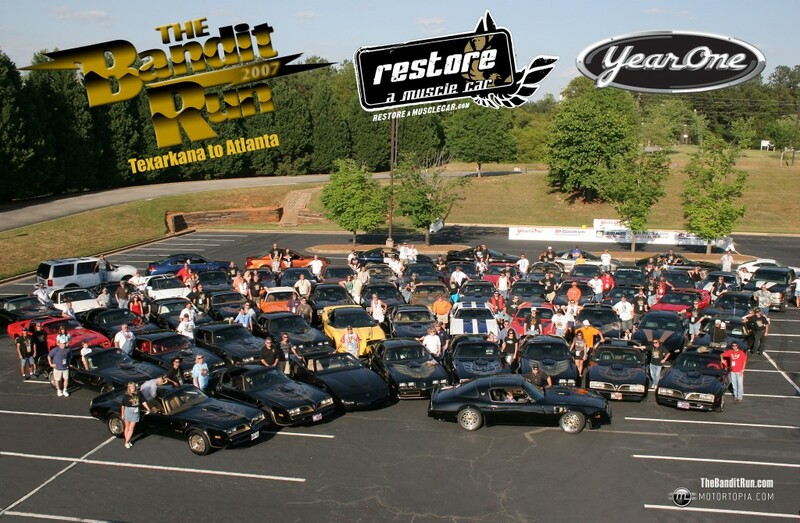 The group arrived in Atlanta with more than 100 Trans Ams and other cars strong! Local and national media were there to cover the event, including Automobile Magazine and The New York Times. Also along for the first year’s event was Hot Rod TV and the DIY Network, which featured stories on the Bandit Run. To finish the weekend off, local Bandit Runner Tyler Hambrick gave the group a movie location tour around Atlanta, and visited some of the movie’s most famous sites. From there it was history. The event grows in size and popularity every year and is expected to keep growing. The route changes every year which allows everyone to get to see different parts of the country, be a part of different events, and get new people and their cars involved in a week long, fun, family oriented vacation! Be sure to be on the lookout and sign up for this year’s event so you don’t miss out on all the fun.